Starting with a view, always the best place to start! 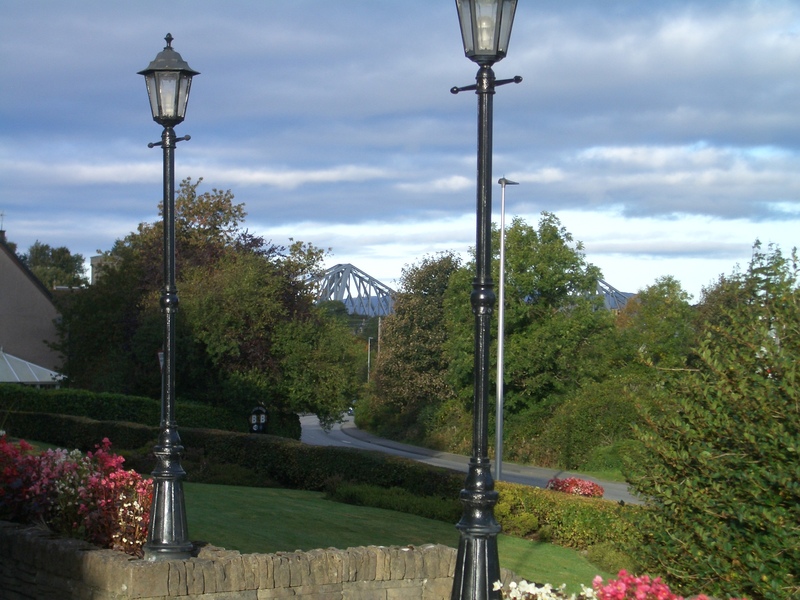 …with a peek of the bridge we need to cross for the next stage of our journey up the West Coast. I thought we’d take a quick stop just up the road at the Scottish Sea Life Sanctuary, where rescued seals are rehabilitated and returned to the wild, but when we got there we realised we wouldn’t have enough time, as visiting times are very structured and seeing the only seal pup currently in residence was due for the afternoon, so we just caught a quick glimpse of this other resident before hitting the road again. 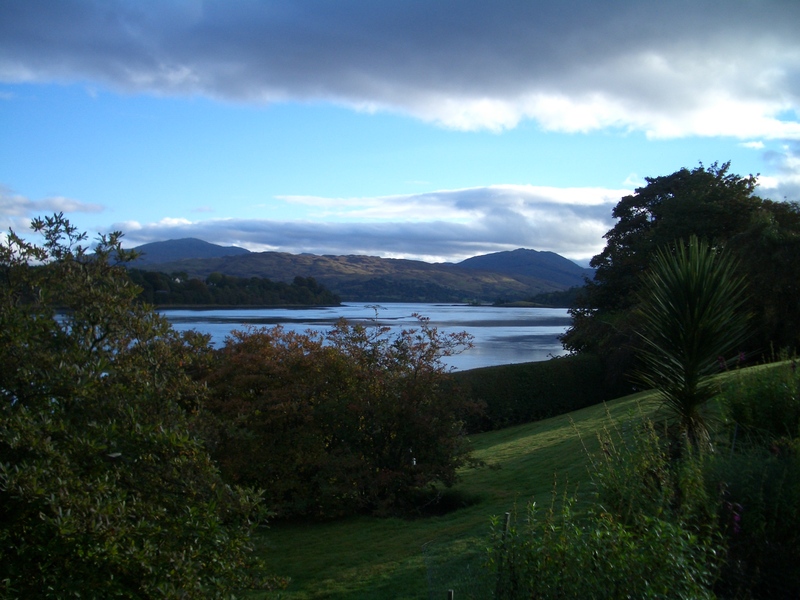 So back on the road – a little further up the coast we stopped for coffee at the Stalker Castle View – and boy, does it have a view! 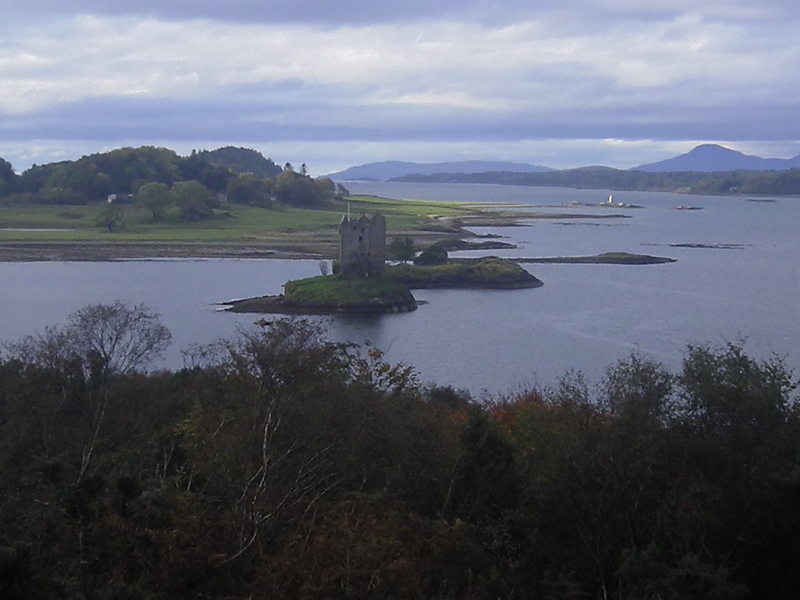 Stalker Castle was built back around 1320 and is currently fully habitable – what a view the owners have. It is also somewhat notorious for featuring as a setting in the film, ‘Monty Python and the Holy Grail’! 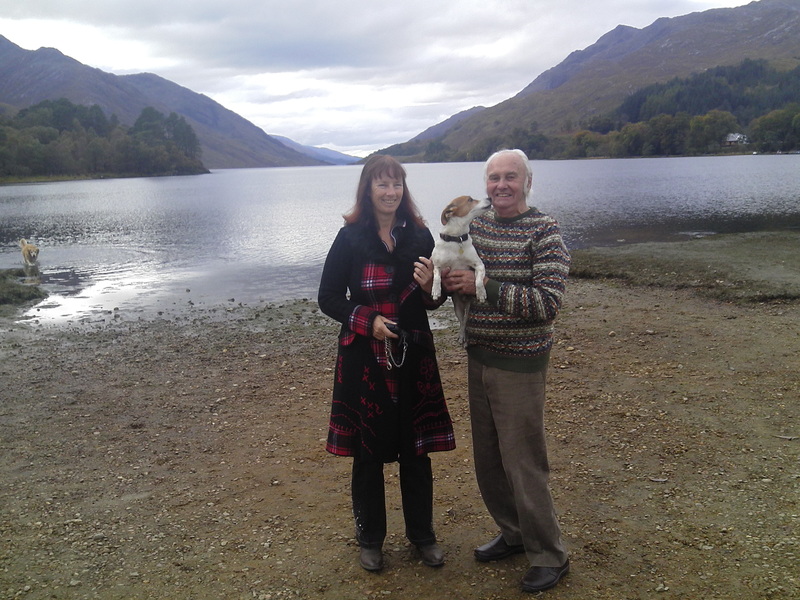 Fortunately not having encountered any rogue Pythons, and refreshed, we got back on the road, driving along the stunning coastline of Loch Linnhie, through Ballachulish (where we stayed last year) and up to Fort William. 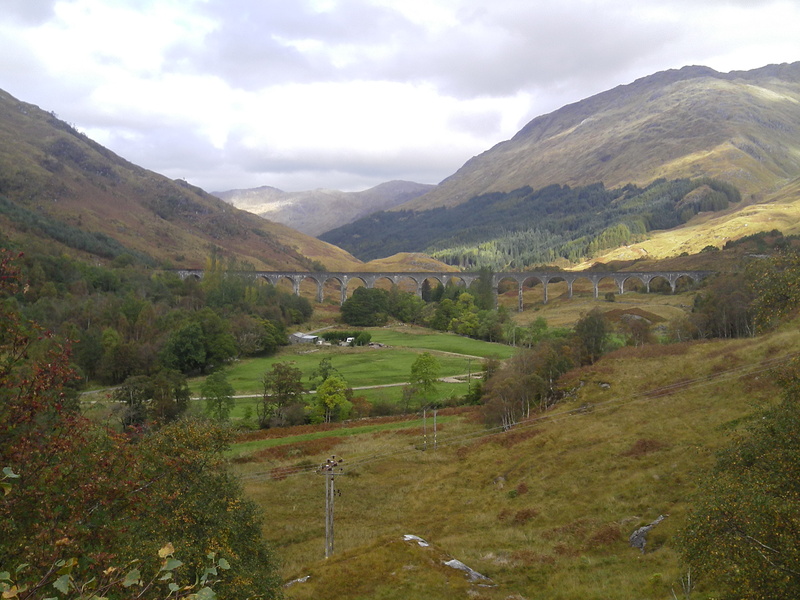 If you didn’t see our epic Harry Potter train journey that started in Fort William last year, you can find the pics and video here. This time we drove on through, and out towards Mallaig (destination for the train journey), and stopped at Glenfinnan to see the viaduct from below, instead of on top. Sadly we missed seeing the train pass over it, but it’s still spectacular. Then we turned our attention in the opposite direction, and the Glenfinnan Monument, dedicated to the clansmen who died supporting Bonnie Prince Charlie, who raised his standard here in 1745 to rally his supporters. The beach below the monument was a perfect Frodo entertainment. Lol, I was most surprised to discover the Monty Python connection, especially as Marcia had just declared her devotion to them on her blog!